The package contains 3 bestsellers that will increase the conversion in your store and increase sales, and will add functionality to Advanced Search, Product Attribute List in the directory and Power Pop-up Newsletter with great discount. Popup newsletter and Sign-Up Reminder Shows a pop-up window in the front office inviting visitors to subscribe. With this module, you can work with traffic on your site better by increasing the conversion on your site. No need code knowledge to customize pop-up news for you. The module allows you to subscribe to the news, change the color, specify the date of birth, gender, name, which will allow you to segment your customers and make your email campaigns better. You can specify the text size, start and end date of notifications, add an image and position it on the left or right. It is possible to send notices to customers about the subscription. You can specify a delay when pop-up news appears. Buyers can always receive up-to-date information about your products, services and news. Your customers will be able to chose product attributes directly at the product list. 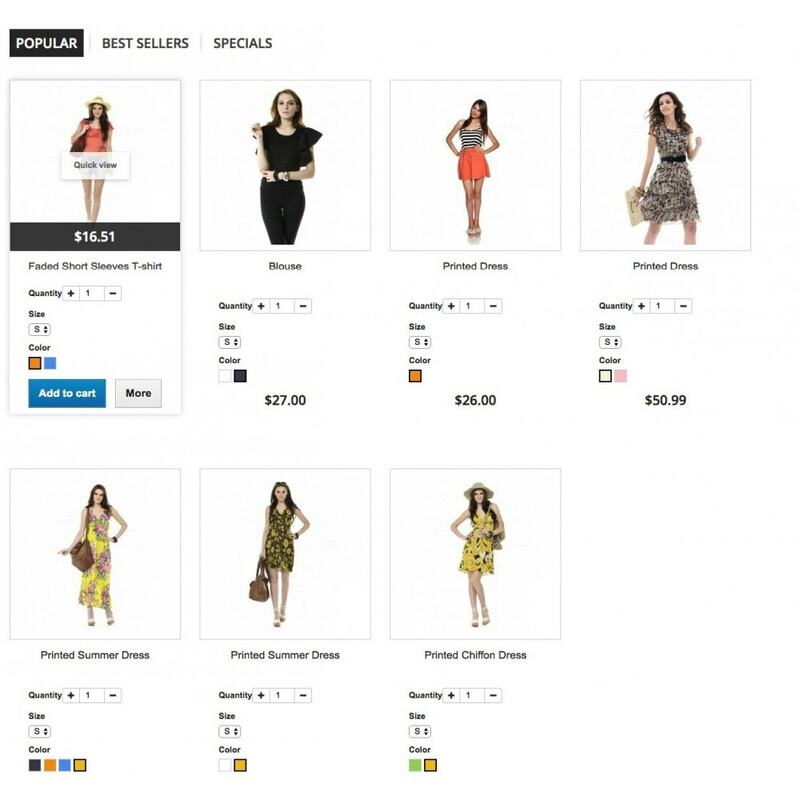 Ability to add to shopping cart chosen combination directly from product list. Module helps the customer to quickly chose product attributes without need to go on product page. Enchanted customer experience allows find a suitable product much faster with less clicks. Your customers will receive the goods from the desired category, quickly in 2 clicks in dropdown list, it saves time and is very convenient. This will affect the conversion for the better. Add an option to select desired search logic (OR or AND). Add placeholders for images that weren’t found. Fix price becoming zero with some currencies. Fix search results drop-down closing when clicking on any element inside it. Fix sorting options list disappearing on custom themes. Make sure Search for an exact phrase option works properly when searching product names and descriptions at the same time. Ability to search categories and manufacturers. Option to specify custom search fields placeholder. Option to specify custom root category name. Allow excluding categories from product search. Allow specifying category depth limit. WidgetInterface to make possible attaching Presta Search to any hook. New configuration settings for customizing search results preview. More customization options for search results preview. The ability to sort search results on a separate page. All modules is installed like any other module. Simply upload your archive to install it. Each module is well documented. A powerful module for displaying all or specific product features in the product list, separately for each category. This makes it extremely easy to work and display with lots of features. Ideal for products with a large number of features.